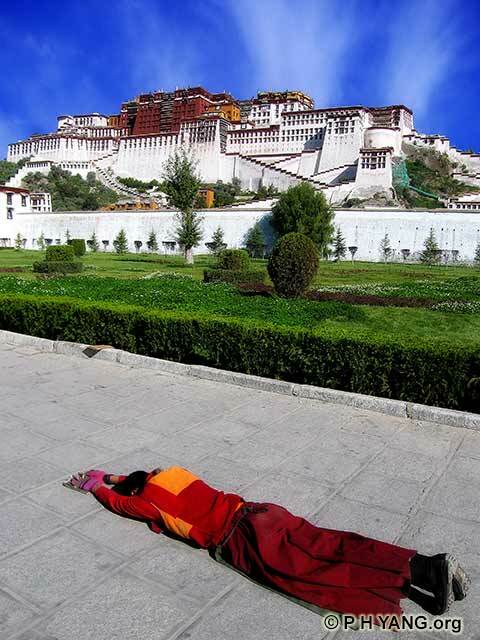 Prostrating pilgrim in front of the majestic and awe-inspiring Potala Palace. 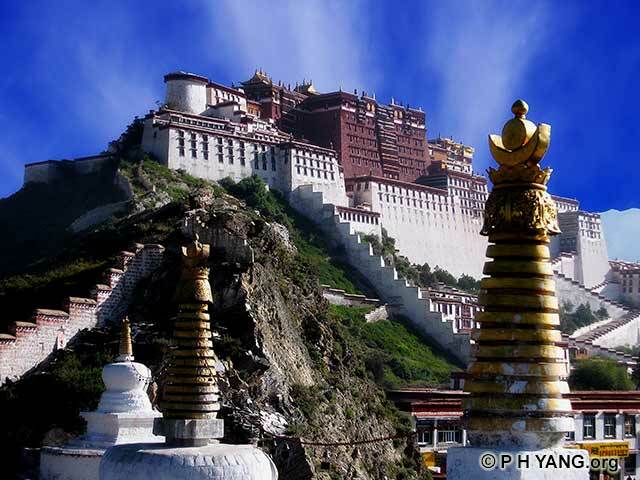 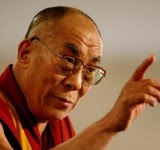 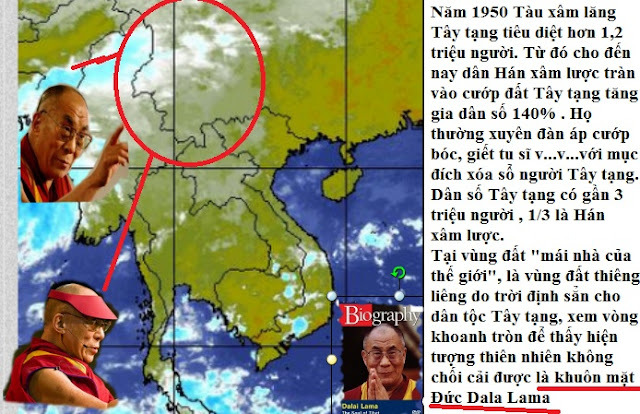 Reach for the Potala, the Palace for the Dalai Lamas. 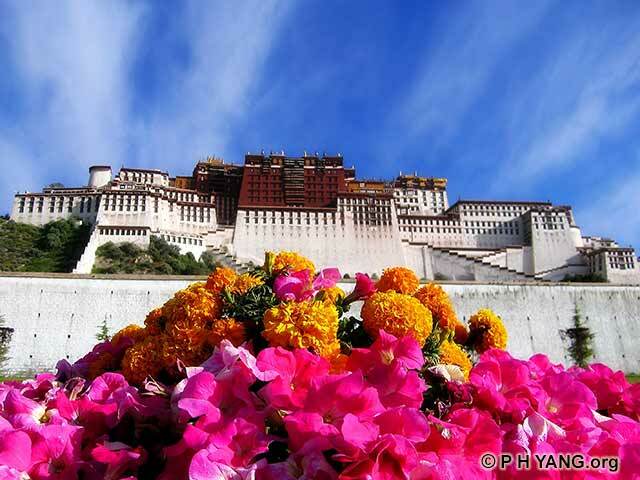 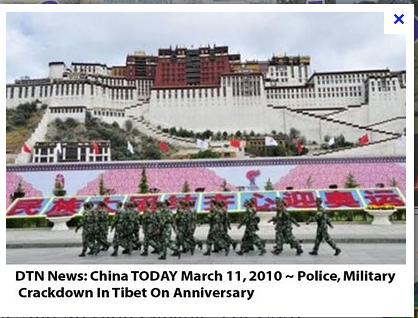 Festive flowers decorate the access road to the Potala Palace ahead of the National Day celebration. 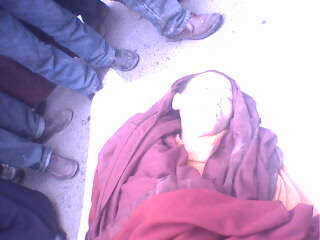 30 year-old monk from Gantsezhou pays his respect at Jokhang. 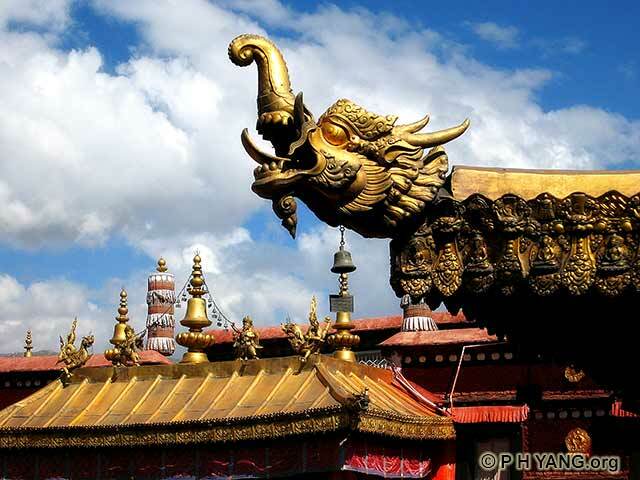 Talisman guarding the rooftop of Jokhang, the most revered religious icon of Tibet where hundreds of prostrating pilgrams gathers everyday. 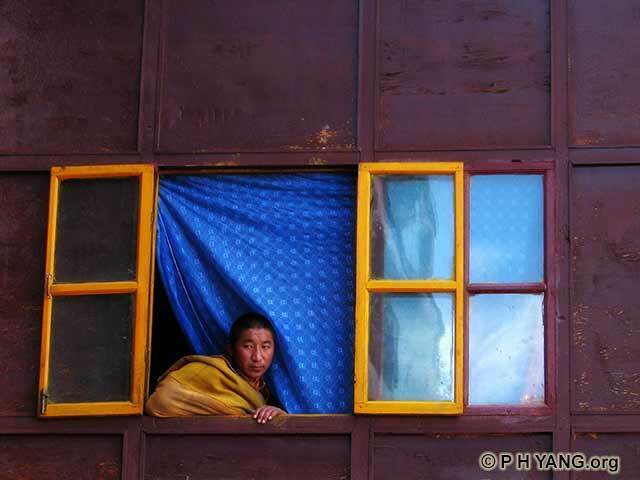 A young monk takes a peek at the outside world from his room at Drepung, at one time the largest monastery in the world with over 10,000 monks and left unscathed during the Cultural Revolution. 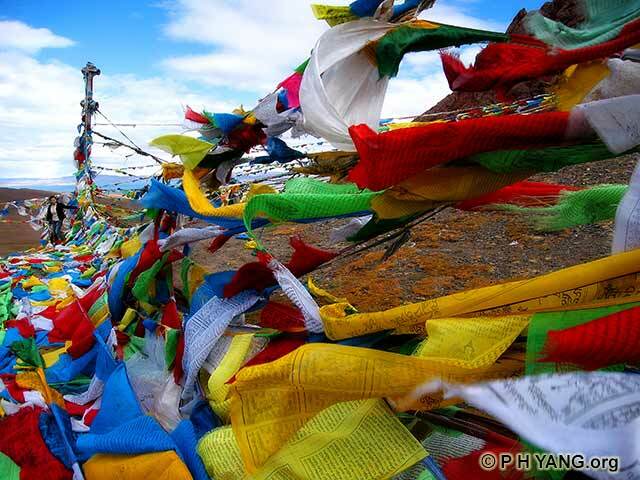 Colorful prayer flags flutter in the wind at the 5,190 meter high Lakenla Pass on the way to Namtso Lake. 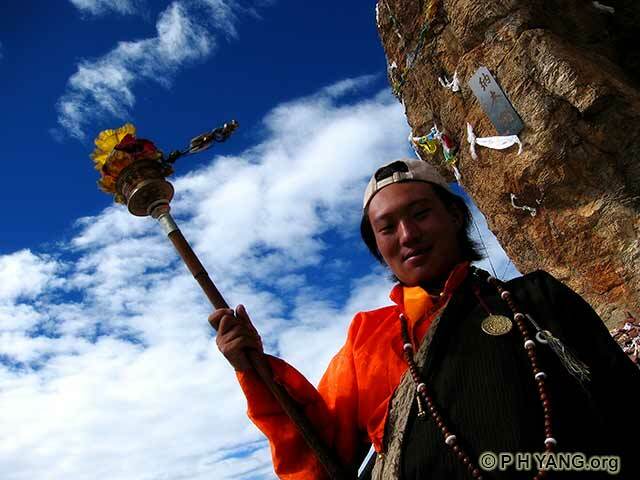 20 year old Yamaluobu from Lhasa spins his prayer wheel during his pilgramage at Namtso Lake. 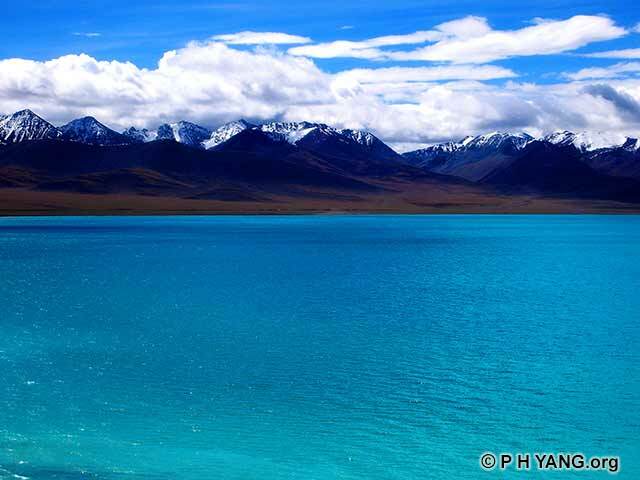 At 4,718 meters, the sacred Namtso Lake, the second largest saltwater lake in China, shimmers with a fabulous shade of turquoise. 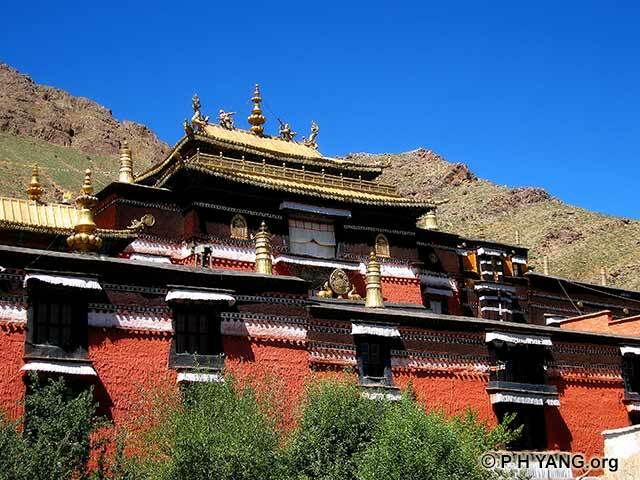 The impressive Tashilhunpo, seat of the Panchen Lama, has weathered the stormy Cultural Revolution unscathed. 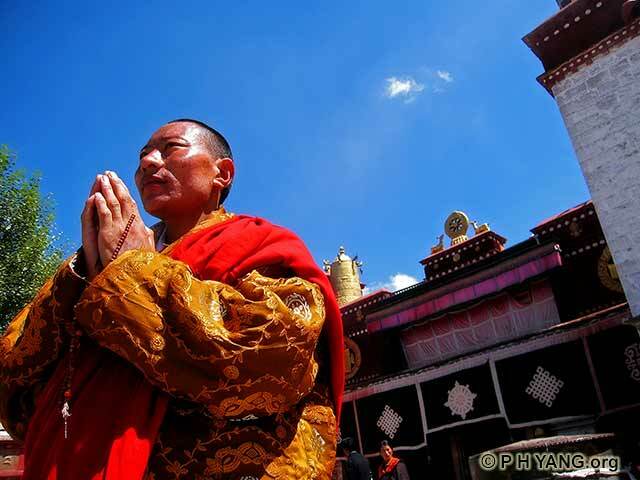 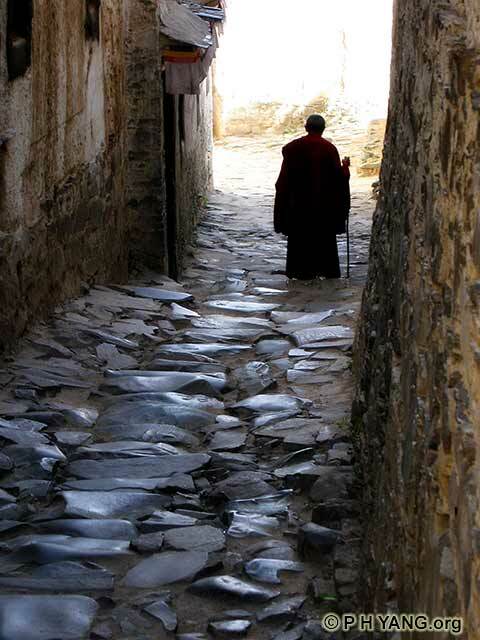 An old monk walked down the cobble-stone path of Tashilhunpo Monastery. 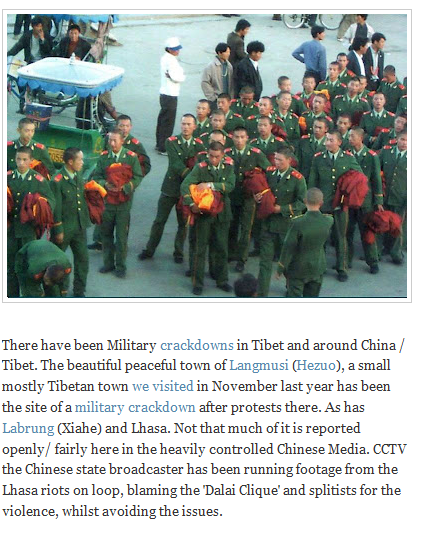 But the real picture is just beginning to emerge. 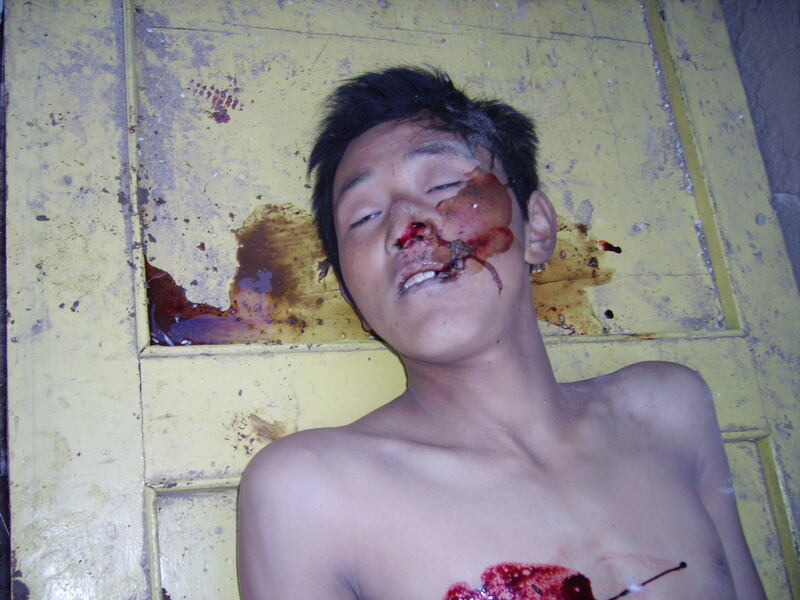 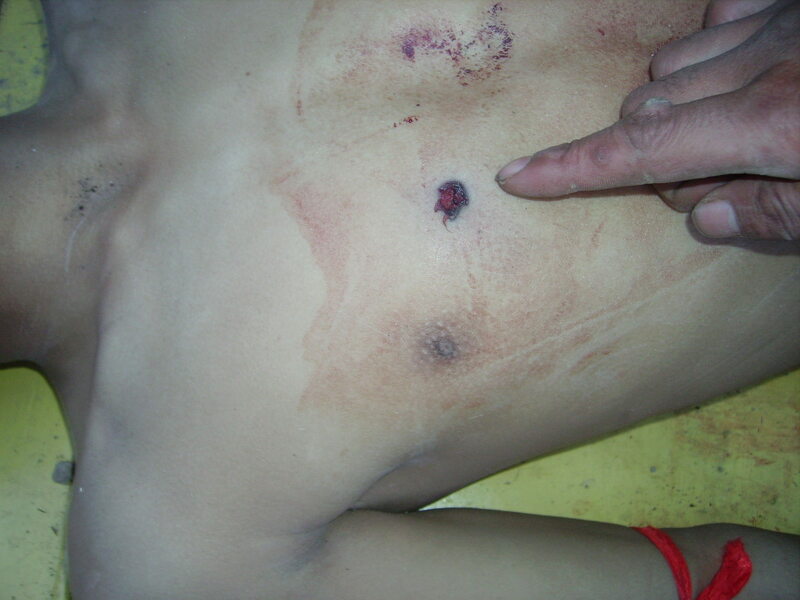 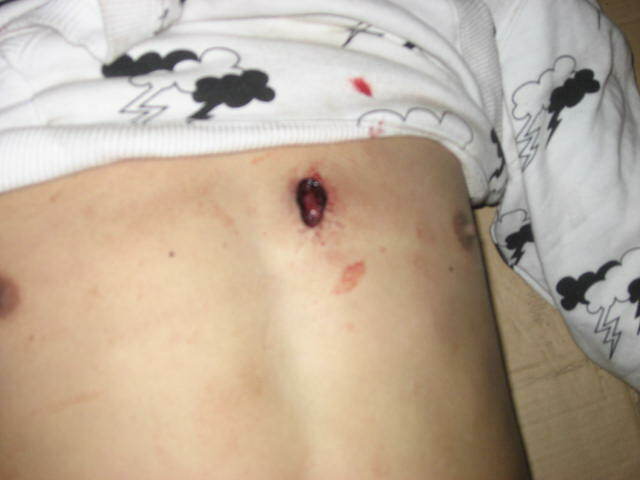 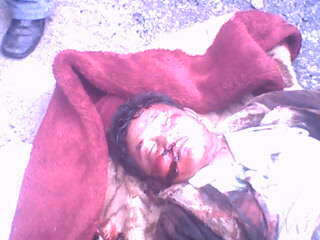 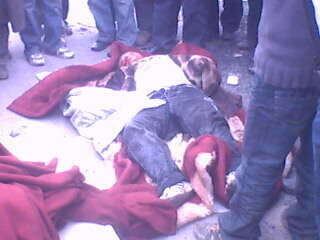 These photos clearly show people have been shot and killed.